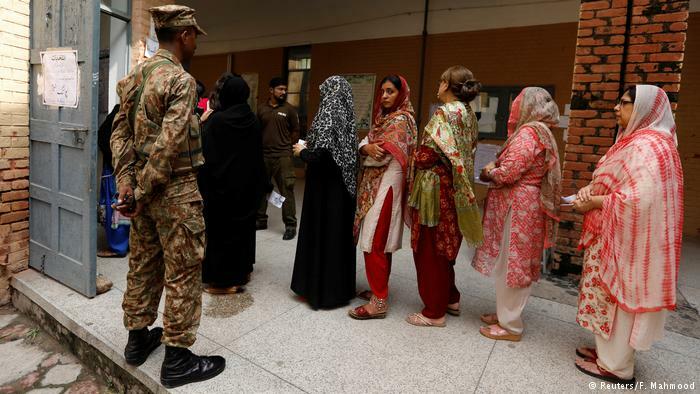 According to data published by the Election Commission of Pakistan (ECP), there were 46.7 million registered female voters out of a total of 105.9 million voters. The overall voter turnout was almost 55 percent. The female turnout was 47 percent, so a total of 46.7 million women practiced their civil right. Many remote and conservative areas in Pakistan, where previously women had been barred from casting their vote witnessed a positive change this year. The 2017 Elections Act made a difference and pushed candidates to reach out to women for the first time: It states that the electoral result of any constituency with less than 10 percent of votes by women will be considered null and void. Dir in Khyber Pakhtunkhwa Province can be taken as an example. Since the 1970s, women had been prevented from voting here after the elders decided that they would not be allowed to leave their homes on Election Day. Only one woman voted in Upper Dir in 2013. This year, 37 percent of eligible female voters turned up to cast their ballot. In this picture taken on July 7, 2018, Pakistani villagers, who never voted in past general elections, listen to a Pakistani social worker and member of district council Bismillah Noor (unseen) trying to convince them to vote in upcoming polls in Mohri Pur village, where women had previously been banned from voting, some 60 kilometres from Multan, a central city in southern Punjab province. 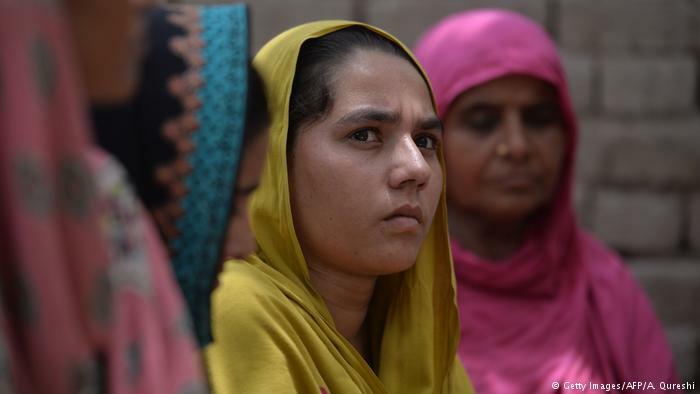 – Men banned women from voting in the village of Mohri Pur sometime around 1947, and they have obeyed ever since — until this year, when changes to Pakistan’s election laws and women’s attitudes could shift the dynamic. In Upper Dir, Hamaida Shahid from Imran Khan’s winning Pakistan Tehreek-e-Insaf (PTI) ran while in Lower Dir Sobia Khan from the Pakistan Muslim League N contested. However, there are also negative stories. On Election Day, Rabbani was in a village in Chakwal District in central Punjab and only five voters turned up to the female polling station. There are currently four constituencies which had less than 10 percent votes from women. The results will be considered null and void by the ECP and there will be a re-election. 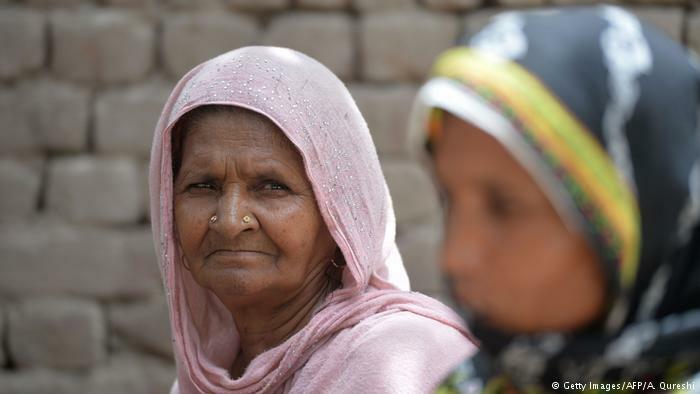 In this picture taken on July 7, 2018, Pakistani villager Nazeeran Mai (L), 60, who never voted in the past general elections, gathers with neighbours in Mohri Pur village, where women had previously been banned from voting, some 60 kilometres from Multan, a central city in southern Punjab province. Gul was the first female candidate from Waziristan and DG Khan to win a general seat. 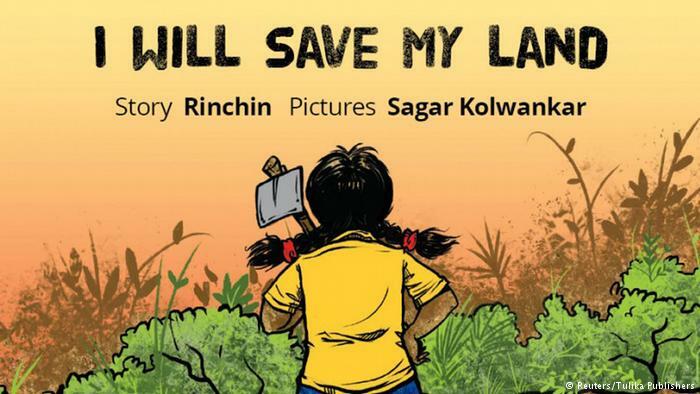 “I always think that I have more potential than men,” she said, explaining that she refused to be part of a women’s quota and ran a successful independent campaign. To have won in an area with a strict feudal culture where women have to observe purdah was encouraging. She said that she wanted to work for women in the area. 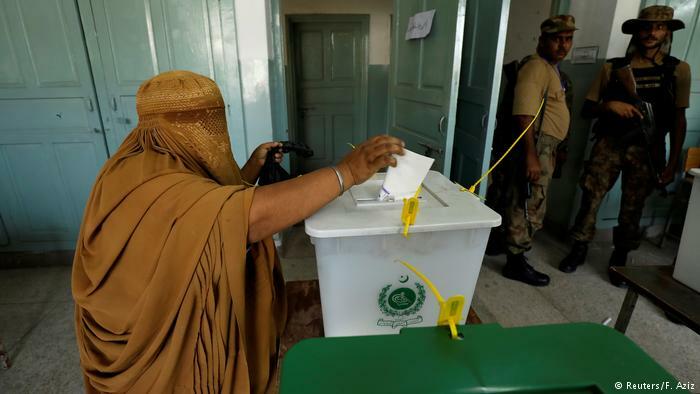 A woman, clad in burqa, casts her ballot at a polling station during general election in Peshawar, Pakistan July 25, 2018. Another inspiring story is that of a Thari woman, Sunita Parmar, who is from Tharparkar, one of the most neglected and water-deprived areas of Sindh province. It has largely been ruled by feudal lords and it was years of oppression that inspired Parmar to stand for election. She was the first Hindu woman to contest an election in the area. Tharparkar is home to a small Hindu minority, which has been marginalized. Women are particularly vulnerable. Parmar ran an impressive campaign with her ten-month-old baby in tow. She attracted attention in the local, national and international media “During my campaign, I received a lot of respect from many people and women encouraged me a lot,” She told DW. Though she did not win, she is a new person she says, and she’ll continue working for the community. 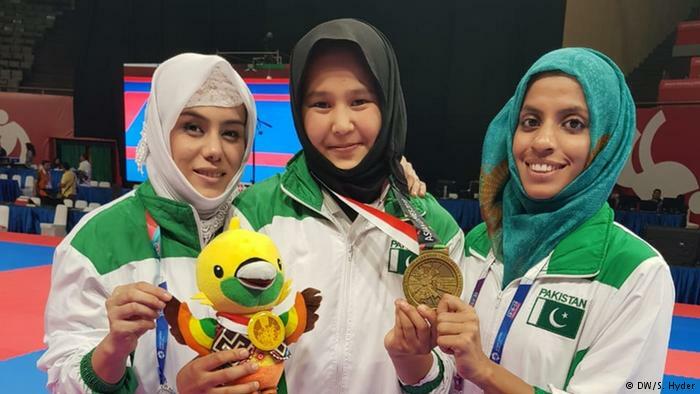 Other notable female candidates were Begam Ali Wazir, who also contested from the conservative tribal area of Pakistan, and Jungnu Mohsin, a candidate from Central Punjab.